Construction has resumed at Moonen Shipyards just four months after work was stopped because of financial complications. New build was paused this summer when Altos Hornos de Mexico – a steel plant in Mexico and a major shareholder in Moonen – pulled out of the build of new yacht Martinique because the global steel market collapsed. A suspension of payment was announced and work was halted. 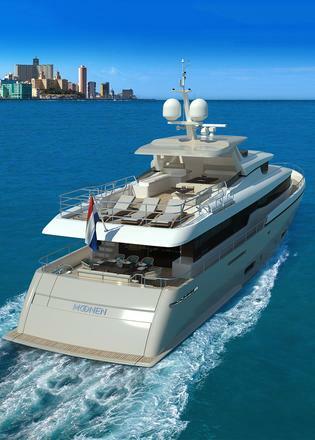 In an official statement released today (November 20), Moonen announced it was making a strong recovery and construction of 30 metre yacht Matica from the Caribbean range has resumed. 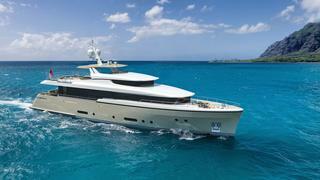 The yard also revealed it has received two new orders for refits. The owner of Matica was hailed by Managing Director Emili Bilterijst as key in helping the yard overcome financial difficulty. Praising his desire to find a way in which the project could be continued, Bilterijst revealed his confidence has encouraged other clients to submit their superyachts for refits at the yard. The hull of Martinique, the superyacht that was being financed by Altos Hornos de Mexico, is 90 per cent finished and Moonen is looking for a new buyer. “A new owner can still have major influence on the interior and have a phenomenal new motoryacht ready by the spring of 2017,” Bilterijst concluded.